Earn $3.16 in VIP credit (316 points)What's This? 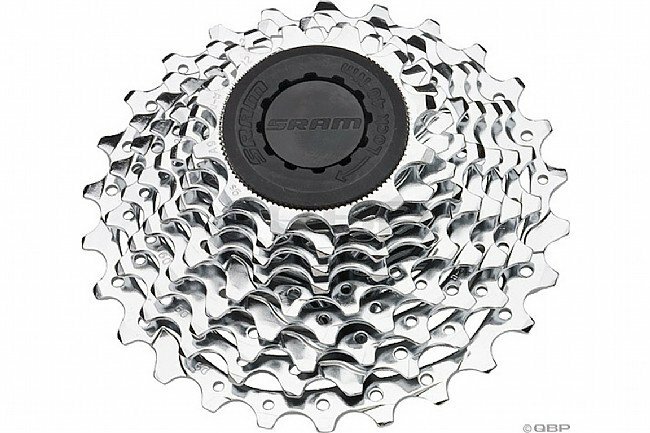 The SRAM PG-950 9-speed Cassette is a durable and affordable way to keep 9-speed drivetrains shifting crisply. PowerGlide II™ technology includes an optimized tooth profile plus shift ramps for facilitating movement of the chain up and down the cassette. Chrome-plated steel construction. Cog sizes: 11-12-13-15-17-19-21-23-26. Compatible with Shimano/SRAM 9-speed freehubs.